Earlier this weekend, 66-year-old Thorkil Simonsen of Denmark brought his Porsche 356 to a classic car race event at the Nürburgring. Unfortunately, he didn't leave with the Porsche — someone stole it, and now Simonsen and other enthusiasts are seeking the Internet's help in getting it back. The story comes to us from our friend Nikolaj Karlshøj, the editor of a car magazine in Denmark called Bil Ekspressen. Karlshøj said the car was stolen from the parking lot of the Hotel Hohe Acht, which is not far from the race track. 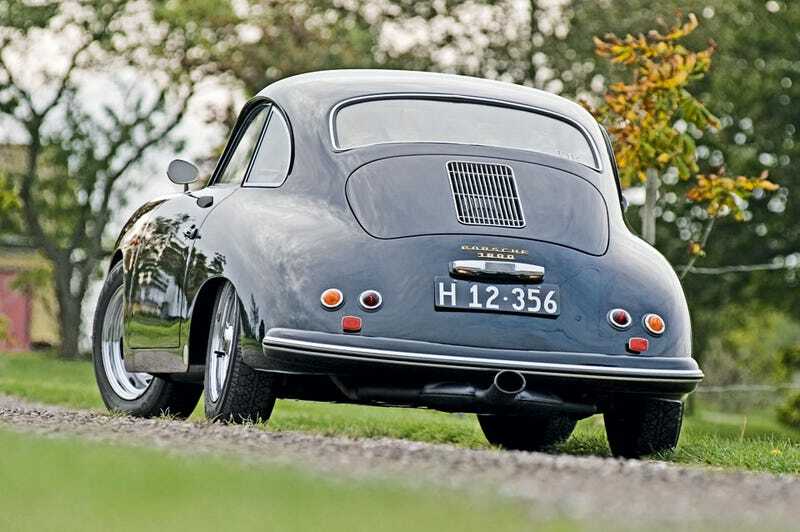 In addition, two other 356s were stolen from the same lot that night, Karlshøj tells us. The German police are investigating, but they've had no luck in recovering it yet, he said. As for Simonsen — who owns a business that makes spare parts for the 356 — he's beside himself, Karlshøj said. Porsche in 1970 and since he is a well known Danish manufacturer of spare parts for Porsche 356, he has restored the car with his own hands. We are talking about a Porsche that has won several prices for its originality and excellent condition, and that is why he has offered a reward of 15,000 euro (!) for any kind of information, that leads him to the car. The message has already been spread here at the event. The car is black with historical Danish plates (H12 356), a center mounted Sebring muffler and some rare steel wheels with center nuts, a wooden Les Lestuns steering wheel and Speedster seats. Karlshøj asks anyone who has seen or heard anything can email him at simonsen-356 at c.dk. How about it, fellow European Jalops? Let's see if we can't help this gentleman get his Porsche back.